At least according to the Daily Mail. 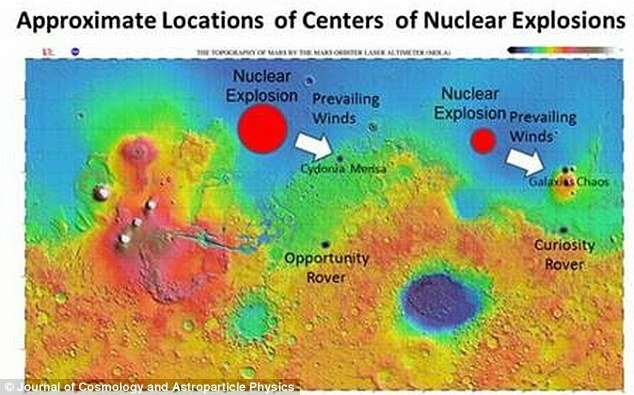 Dr John Brandenburg is advancing the idea that certain phenomena found on Mars are best explained by Nuclear weapons detonations and that the aliens that fought this war could be coming here next. You can read the idea in detail at Ancient Martian civilisation was wiped out by nuclear bomb-wielding aliens – and they could attack Earth next, claims physicist. Also I am aware this is probably the most clickbaity title I have ever used. A beautiful Sci Phi postcard! So now correcting grammar is racist?